When digital currencies experienced their first major boom, a myriad of different types began to dot the marketplace. But over time, a small handful have risen above the rest, ultimately establishing themselves as the foremost digital currencies in use today. Here’s information on the cryptocurrencies that BitIRA currently offers. Even if you’re only beginning to learn about the world of digital currencies, there’s a very good chance you’ve heard about Bitcoin. Bitcoin was the first viable digital currency ever introduced, and its open source Blockchain software protocol is what sparked the explosion in other digital currencies we’re witnessing today. Additionally, despite the growth of alternative digital currencies, Bitcoin still maintains the highest exchange volume, market cap, and rate of use around the world. Bitcoin Cash came to life on August 1, 2017, as a result of a “hard fork” in the original Bitcoin network. Essentially, this means a group of Bitcoin miners adopted a new set of rules and guidelines, then split away from the primary Bitcoin blockchain to create a new blockchain that is now Bitcoin Cash. So why did this “hard fork” come about? Without getting too technical, we can simply say the split was caused by two differing views within the Bitcoin community in regard to the design and scaling of the primary Bitcoin blockchain. Ultimately, the disagreement was too great to reconcile. So the group of dissenting miners and users diverged from the Bitcoin blockchain network, and began the new blockchain of Bitcoin Cash. Despite critics’ negative predictions, Bitcoin Cash has cemented itself as one of the largest digital currencies. Compared to other digital currencies like Bitcoin, Litecoin, or Bitcoin Cash, Ethereum is a slightly different animal. That’s because it’s not purely a digital currency; it’s also a distributed computing platform. The Ethereum value token (Ether) serves as a digital currency just like any other. But the Ethereum blockchain network also offers a platform for decentralized application development – basically harnessing the power of thousands of computers. Applications built to run on Ethereum must pay the network in Ether in order to run, and Ether is mined in much the same way as other digital currencies’ value tokens (like Bitcoin). This added utility gives Ethereum additional value and long-term potential, which is reflected in its robust growth, now with the second highest market cap after Bitcoin. In the same way that Bitcoin Cash emerged after a split from the Bitcoin blockchain network, Ethereum had a “hard fork” split of its own, resulting in Ethereum Classic. As was the case with Bitcoin and Bitcoin Cash, disagreements regarding various technical aspects of the primary blockchain led to a divergence in the Ethereum network as well. However, compared to the growth in Bitcoin Cash after splitting from Bitcoin, Ethereum Classic remains somewhat of an underdog in relation to its big brother. That said, many still feel it presents notable opportunity. Litecoin was developed and released by former Google employee Charlie Lee in 2011. It bears several commonalities with Bitcoin, and it’s built upon the same open source cryptographic protocol (Blockchain). As a result, it’s considered an “alt-coin” digital currency (alternative to Bitcoin). But of the many alt-coins on the market today, Litecoin’s network speed, market cap, and volume have made it very appealing to some newcomers to digital currencies. The Ripple blockchain network facilitates the operation of ‘ripples’ (XRP), which are the Ripple value token/digital currency. However, Ripple is more than just a digital currency; it also serves as an advanced, decentralized payments protocol. Ripple’s “confirmation by consensus” payments protocol makes it possible for assets of any kind to be transferred instantly, without the assets themselves every having to be physically moved. As a result of Ripple’s enterprise utility as a payments protocol and growing adoption in the banking and investment industries, it’s becoming a highly favorable option for digital currency investors. The Zcash token (ZEC), created in 2016, runs on the Zerocash protocol. One of the primary goals of Zcash is uncompromising privacy, which itself is one of the main appeals of cryptocurrency. Zcash allows the sender, recipient, and amount transferred to be encrypted but allows users the choice to voluntarily disclose those details on the blockchain for purposes of public records or regulatory compliance. Because of this focus on privacy and other features, Zcash has gained many followers in the cryptocurrency world. One of the co-founders of Ripple went on to create in 2014 a protocol called Stellar, which has often been compared to Ripple. But while Ripple is closed source, Stellar is open source. Also, while Ripple markets itself primarily to large banks and consortiums, Stellar targets those institutions in addition to individuals (especially in developing countries). Other unique features of Stellar are the consensus protocol called the FBA algorithm and a decentralized exchange. Stellar’s primary coin is called Lumens (XLM), and it is another popular asset in many crypto investors’ portfolios. Each of these digital currencies carries its own set of unique benefits for investors. 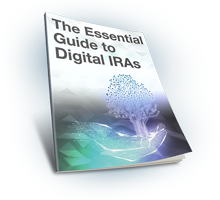 And the currencies you select for your Digital IRA will depend heavily on your existing positions in other markets and personal financial situation. If you’d like to learn more about each of these digital assets, and how they can benefit your long-term goals, contact BitIRA today by calling (800) 299-1567 or requesting a free info guide. One of our Digital Currency Specialists will explain these currencies in-depth, explain the simple process of owning them in a Digital IRA, and answer any other questions you may have.